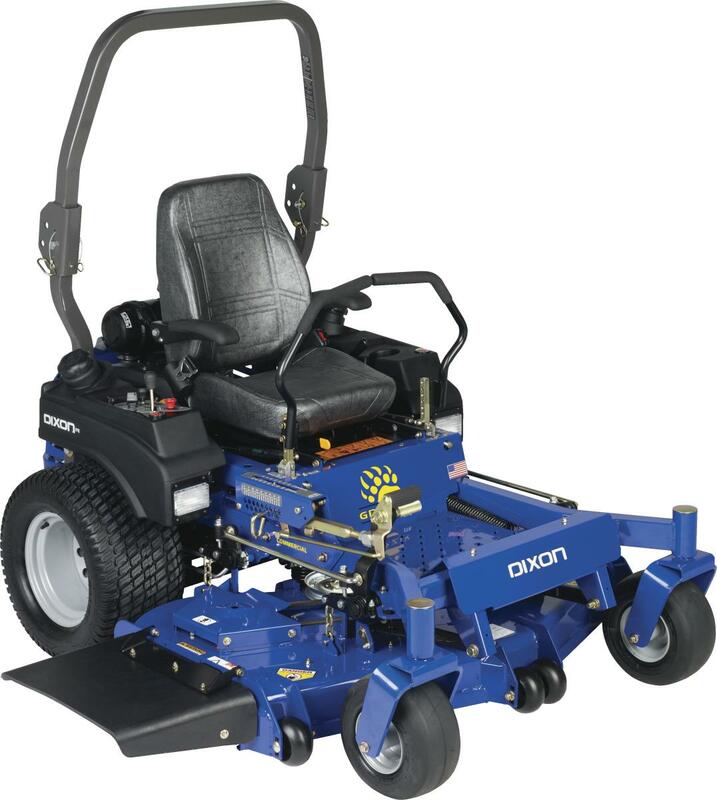 We sell and ship Dixon DX-series ZTR Mower Parts! These Dixon ZTR commercial mowers are powered by Kawasaki FX series air-cooled gasoline engines. The engines are are lubricated by a full pressure lubrication system. They have heavy duty canister-style air filters, dual side fuel tanks with a total capacity of about 11 gallons. The hydrostatic transmissions on these mowers are built by Hydro-Gear. The mowing width of the DX254 is 54". The mowing width of the DX260 and DX260D is 60". The mowing width of the DX272 is 72". The mowing decks are constructed of 7 guage steel; blade engagement is activated by an electric clutch; blade spindle/mandrels are cast iron and are greasable. These DX series mowers all feature a roll over protection structure (ROPS) and a vinyl high-back seat. Front tire size is 13 x 6.5-6". Rear tire size on the DX254 is 23 x 10.5-12". On the DX260, DX260D and DX272 the rear tires are 24 x 12-12".